When the time comes to replace your garage door, it can be difficult to know which material and design your new garage door should have. When you consult the experts at Pioneer Door Company, Inc, we will take the time to listen to your questions and concerns and offer straightforward guidance and advice. We offer a wide selection of the best garage doors in Lebanon, OR, so whichever door you select, you can rest assured that it will serve your family or business well for many years to come. Here’s a look at our residential and commercial garage door options, as well as some important information about our installation services. 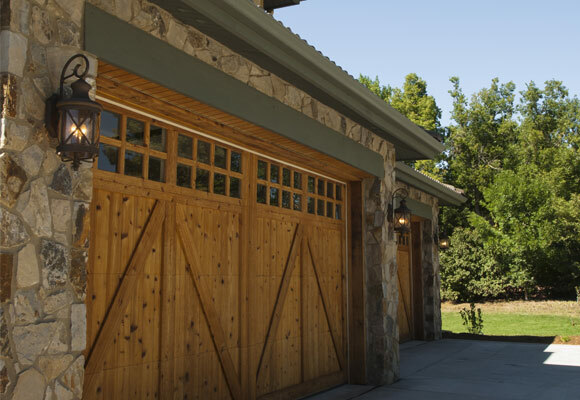 Residential garage doors: Here at Pioneer Door Company, Inc, we know that having any kind of construction work done on your home can be a stressful, disruptive and costly process. That’s why, when folks hire us to install new residential garage doors in Lebanon, OR, we focus on providing quick work, helpful service and affordable options. The designs and materials we commonly use for residential garage doors include aluminum, carriage house, classic house, fiberglass, vinyl and wood. Commercial garage doors: Our family has been part of the business community here in Lebanon since 1988, and we love the way our fellow businesses like to help each other out. When you hire us to install a new commercial garage door, we will do everything we can to ensure that your business isn’t disrupted by our work. The designs and materials we offer for commercial garage doors include sectional doors, aluminum, insulated steel and non-insulated steel. One-year warranty: Pioneer Door Company, Inc is proud to offer a one-year warranty on all newly installed garage doors. Additional peace of mind can be found in the fact that we work with some of the top brands in our industry, including Wayne Dalton, North West Door, Genie Openers and Lift Master. For more information about our garage door installation services, give us a call at 541-758-2400.
and the surrounding areas including all of Linn County, OR and Benton County, OR.